Stock single ribbon rosette is 3"x10" and has a card on the back to fill in your event information. Available in 1st-5th place. 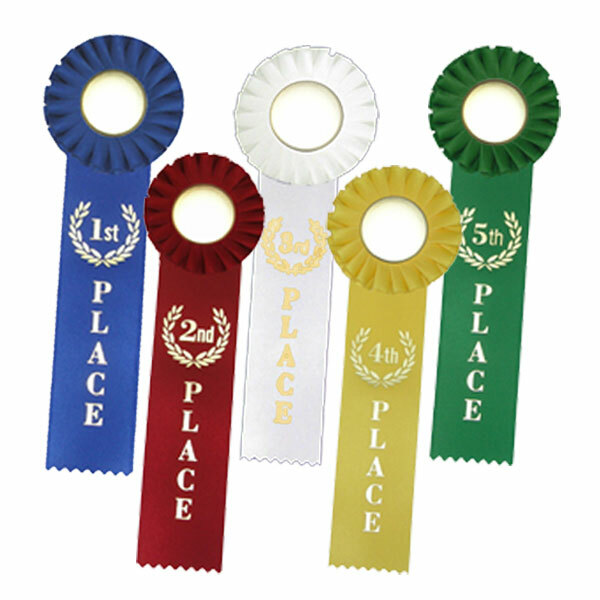 These festive black ribbons are available in 1st, 2nd, 3rd and Participation styles. These are perfect for academic or sports achievement and make a fun bookmark for students.